Cappadocia, the Turkey, is a region celebrated for its distinctive geological landscape. It has been a world heritage site since 1985. These bizarre rock formations are not like anything you have ever seen. The strange beauty of the place will grip you. A surreal, fairy-tale land, this great Turkish nature is something you need to witness. 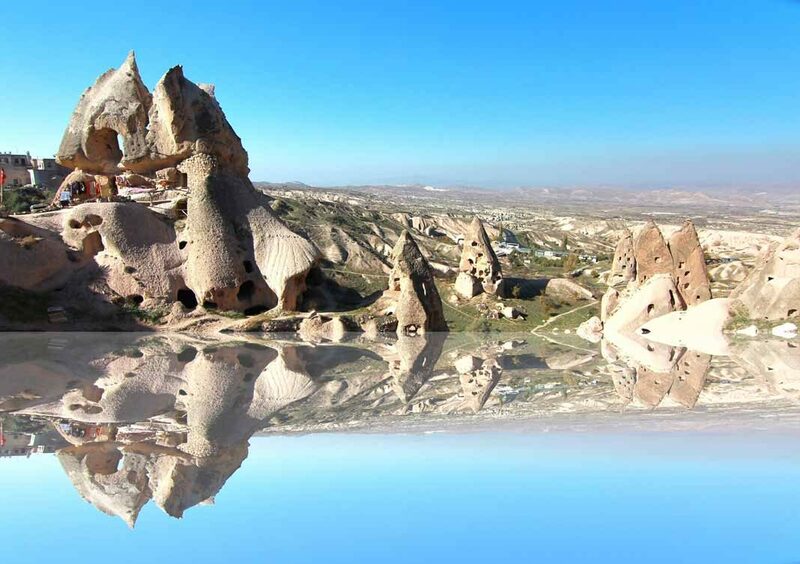 Cappadocia consists of various distinctive rock peaks. The most dominant of these are the summits of three volcanoes: Erciyes, Hasan, and Melendiz Dağları. 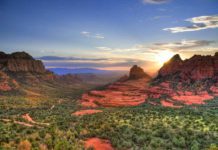 Millions of years ago, their eruptions created a plateau and compressed volcanic ash. The result was a vast arena of igneous rock, undemanding and very adaptable. Time and erosion have created the scenes you can see today. The rock is soft and readily eroded into distinct, unusual shapes. Strangely, green farmland is not too far away. This area is truly unique and wonderfully separate to its surroundings. The erosion basin is vast and extends until it dips towards the nearest water – the Kızılırmak River. When you are within Cappadocia, you could not imagine that such diverse landscape is anywhere nearby. The harsh, raw rock scenery is extensive and easily lost in. The most defining characteristics of Cappadocia are the cone-shaped chimney rock formations that protrude high into the air. They rise from a plateau basin offer a dynamic and varied landscape, engaging to witness. Eventually, erosion overcomes these delicate towers, the roots narrow over time and these impressive towers fall to the ground. There are other significant features in the area. In the Cemil Valley, you can find the Table Mountains. Flat, high up beds of rock replace the long pointed cones. In this area, the land is harder than the lava formed rock. This makes the rock formation less intricate, with grander natural features. Ihlara Valley presents a different canyon. The rock is red and dusty and contrasts greatly with the plan colored surroundings. This is a classic, beautiful image of Cappadocian. With the river flowing through the intermediate slopes, it is an iconic example of dramatic Turkish natural beauty. 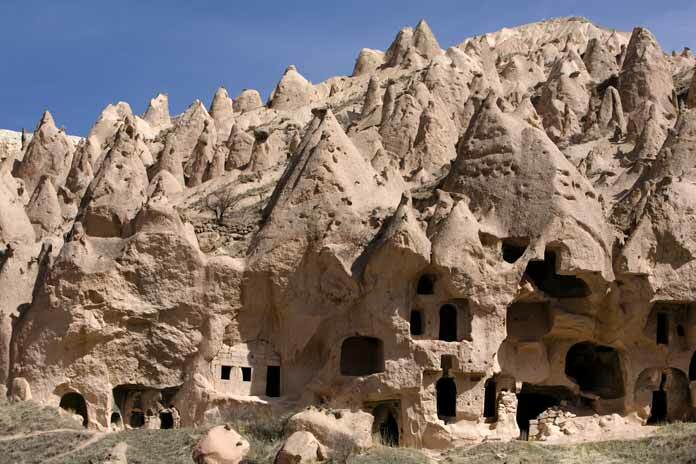 As well as a rich natural evolution, full of geological wonder, Cappadocian also holds a strong cultural history. In the Bronze Age, local cave dwellers carved their home into the rock wall itself. They were a time when a man was in harmony with the natural world. In recent history, early Christians used these ancient houses as places of refuge, when being discriminated against. They go back 100m into the rock; Canyon based homes as well as churches. Goreme Open-Air Museum embraces the individual history of this area. 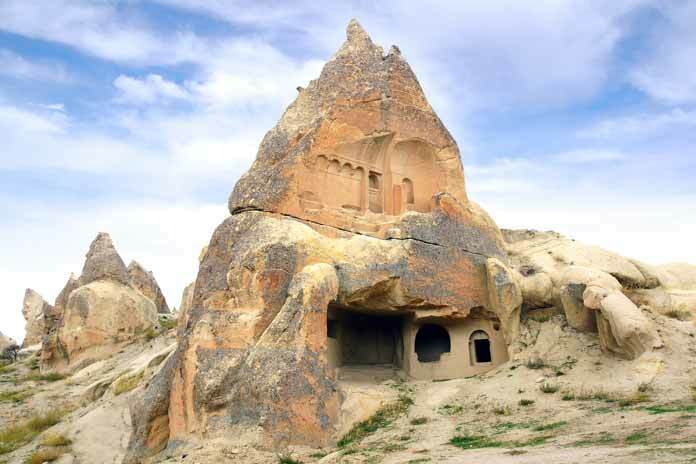 Very accessible in the center of Cappadocia, it contains the churches built into the natural rock walls. Here, you can witness the wall paintings, still fresh with color. 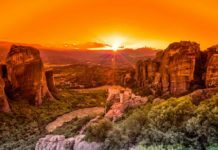 You can also see some of best, unique architecture in the world at this vast collection of old, nature-based monasteries. Make sure you visit the most famous refugees: Derinkuyu and Kaymaklı. These particular features are renowned for a reason. You will find many tourists, but the appeal is very understandable. If you want to embrace the history, you can spend the night in a cave hotel – a deluxe version of an ancient necessity. 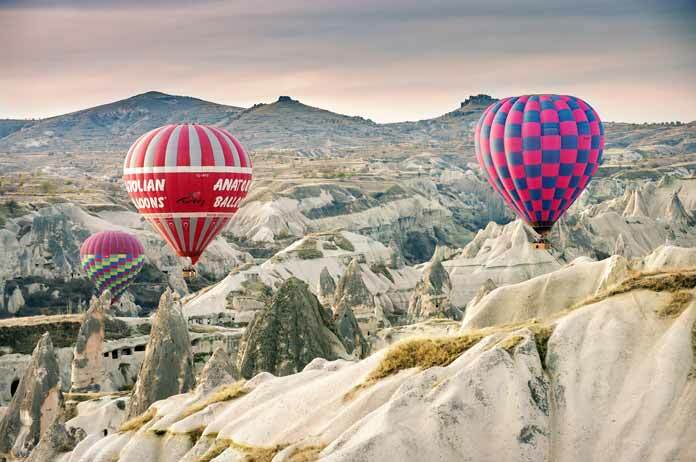 When you see pictures of Cappadocia, the most popular image you will find is of hot air balloons floating above the stunning landscape. The hot air ballooning festival is an annual event, allowing an exception opportunity for a bird’s eye view of one of the best natural scenes in the world. This is the perfect slow way to experience the land. It gives a fantastic, unique perspective of something thousands of other tourists have witnessed. 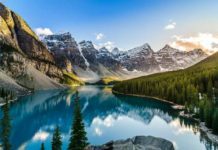 Even if you are not in one yourself, you will notice that the scenery is magnificent. Different shapes and colors fill the sky. A positively unique experience in a truly unique place, the travel experience does not get better than this. All this land has a weird, lunarscape quality to it. Everything is dusty and dusky. The result is a truly unique landscape, beautiful in its variety, rather than its luster. 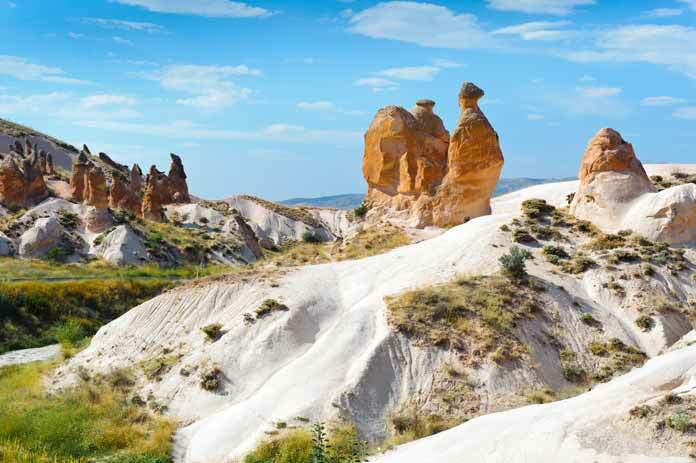 Cappadocia is a geological marvel, and we are lucky enough to witness it – be sure to do so on your next visit to Turkey. 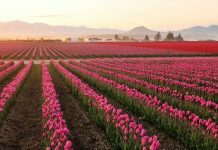 Ceri Savage is a freelance writer and travel addict based in England. Writing from her own experience as a traveler, she shows the world of travel from a simple slow, mindful perspective.